The Z3+ isn't a device you're going to feel like you're getting second best, that you almost got the good one but had to settle for the old cheap one. It looks lush and it feels superb in your hand. The sometimes-serious overheating problems can limit the usability of the device considerably. The build quality should be slightly better too. However, you get a really good display once the white point is set correctly, the camera takes good pictures in difficult lighting conditions (if it works) and the connectivity of the smartphone does not cause any criticism. The Sony Xperia Z3+ is a great smartphone in its own right, but unfortunately proves to be nothing more than an incremental update when compared to its predecessor, with the highlight being a change in the processing package to keep up with the times. That said, while the device is not without its issues, if you are invested in the Sony ecosystem, the Xperia Z3+ is still a great choice for you. Sony's Xperia Z3+ isn't an essential upgrade if you already own the Xperia Z3 or even the Xperia Z2, with just a slight tweaking of the specs and a couple of new features to boast of. Instead, take advantage of the Z3+'s release to hunt down a decent deal on the Z3. Changes to the outer design are welcome, but inside there's nothing you'd call radical. That wouldn't in itself be a problem if all of the refinements, however small, were positive ones. However the big change, upgrading to a Snapdragon 810 CPU, causes the Sony Xperia Z3+'s biggest problem: overheating. A solid and likeable phone with great battery life but overheating issues keep it from the top of the pile. There are more subtle, almost imperceptible nuances on the surface that make the Xperia Z3+'s build seem ever so slightly tighter.... Other than the slight stutter caused by the many widgets, it's hard to find significant flaws within the Xperia UI.... The Xperia Z3+'s camera package remains seemingly unchanged from last year. The Xperia Z3+ is a perfectly competent handset, but it lacks that special something to justify its premium 'plus' status. It wouldn't be so bad if the Xperia Z3 was no longer on sale. (...) The Z3+'s display doesn't measure up to Samsung's Super AMOLED panel either, and the phone's glossy chassis just isn't quite as attractive as the semi-translucent Z3. It simply doesn't do enough to make it stand out from the competition. It's still a highly accomplished smartphone, but those after the very best that Android can offer will be much better off with the Samsung Galaxy S6. The Sony Xperia Z3+ is, as its moniker implies, an attempt at a careful update of select parts of the Xperia Z3 and not a true successor. There are subtle improvements in the design, such as the open USB port and the almost-invisible speaker placement. The biggest change is beneath the hood, in the form of a new Qualcomm chipset. While it should be good to see a high-performance processor in the latest Xperia, this particular one comes at the price of unreliable performance. The Qualcomm Snapdragon 810 processor gets excessively hot, causing issues with battery life and making some features, such as the camera, approximately useless. The Z3+ isn't all bad with decent waterproof design, solid build quality, a snappy user interface and punchy screen. The Sony Xperia Z3+ is the same phone as the company's last flagship, but with inferior performance. It makes no sense for Xperia Z3 users to 'upgrade' to this and in the current market, it's got absolutely nothing that it offers over its competitors or even the mid-ranged flagships. Like previous incarnations, the Z3+ retains the winning design that so impressed us before. Made from two perfectly flat tempered glass surfaces, bonded to a strong and lightweight aluminium frame, the Z3+ is strong, practical and with a real premium feel...... We wanted to love the Z3+, but it's fatally flawed. It's simply far too similar to the Xperia Z3 to justify an upgrade  perhaps owners of older generations will be more tempted. The Xperia Z3+ plays it a little too safe to vault above its competitors. It's a fine phone in its own right and has lots of promising features, but when compared with the latest flagships, it just doesn't cut it. It isn't a wholly bad phone, but the camera overheating issues are a fundamental flaw you cannot ignore. It does the basics well, but so do phones that cost a fraction of the price. The only reason to consider it above rivals is its Hi-Res Audio support, but the Z3 has that already and the Z3+ isn't a serious enough step forward. The processor and the thinner body might be contributing to the overheating problem. We do like that the company tried to concentrate on things like battery life and camera quality rather than just bumping up specifications. While the Sony Xperia Z3+ is a great-looking bit of kit, its mediocre battery life, software quirks and of course its serious overheating issue makes it one to avoid. The Xperia Z3+ is a great smartphone with an impressive display and some welcome updates over its predecessor, but it has been ruined somewhat by the processor. The Xperia Z3+ is a great smartphone with an impressive display and some welcome updates over its predecessor, but it has been ruined somewhat by the processor. We almost feel sorry for Sony that what could have been a great phone is tainted by the overheating problem with the Snapdragon 810. It seriously affects the phone's performance, making it frustrating to use because it will need to be charged at least twice a day. Very disappointing. The Xperia Z3+ is easily the worst in the current line-up of flagship smartphones. It offers very few improvements over the Z3 and some things, like the camera and screen, have even regressed. But its biggest problem is Sony's apparent inability to tame a processor that other brands have struggled with, but ultimately mastered, and the result is a surprisingly hot device. We can only recommend that you give this phone a miss. If you're dead-set on Sony, may we suggest an Xperia Z3 or even a Z2, both of which are equally (if not more) effective, cost less and now too feature Android Lollipop. 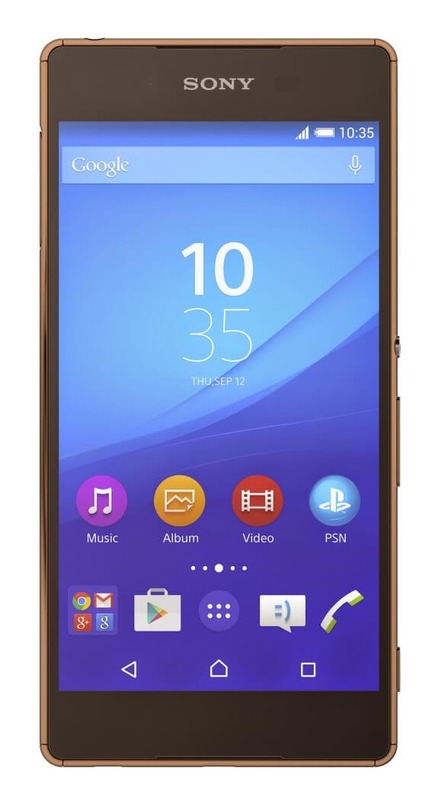 Every day, we search through thousands of tariffs and offers from UK online retailers to find the best Sony Xperia Z3 Plus deals and contracts across a selection of price points and needs. Select 'Pay Monthly' if you're looking to get the Sony Xperia Z3 Plus as part of a monthly contract with minutes, data and texts. Alternatively, choose 'No Contract' if you prefer to buy the Sony Xperia Z3 Plus SIM Free or on Pay as You Go. Finding the perfect deal is easy. Just use the sliders to filter tariffs for minutes, data, monthly cost and upfront cost. You can also filter by network and retailer to find the best Sony Xperia Z3 Plus deal for you! The cheapest contract price in this category is cheaper than buying the Sony Xperia Z3 Plus SIM Free and a comparable SIM Only tariff by . You could save on the cheapest contract price in this category by buying the Sony Xperia Z3 Plus SIM Free and a comparable SIM Only tariff separately.